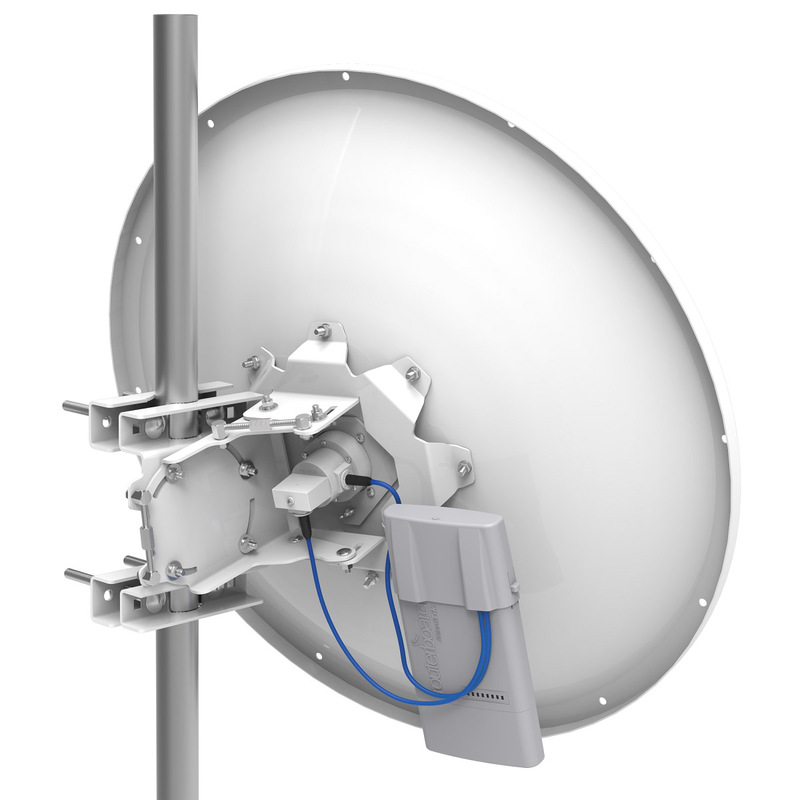 mANT30 PA is a professional class 5 GHz 30dBi dish antenna, built to the highest industry standards. 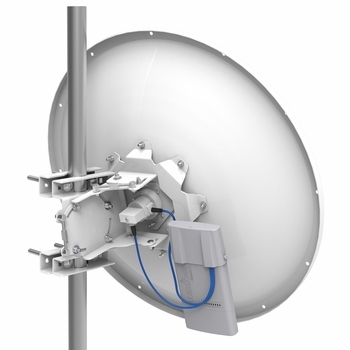 Built to seamlessly accomodate MikroTik's Basebox series products, this antenna may be used for any pole mounted wireless device due to the adequate length of the included FlexGuide cable. Two antennas are available: with a standard type mount (MTAD-5G-30D3) and with a precision alignment mount (MTAD-5G-30D3-PA). The antennas come packaged with all necessary accessories and cables.